OCA Banquet, where we had good food (and martinis) and friends and a great getting ready for the eclipse lecture by Joel Harris. Thank you everyone (Steve, Bonnie and all the volunteers) who helped make it a success! Thanks too for our wonderful tablemates, Retired Hughes Employees, John and Becky, Theater Impressarios and Telescope lenders, Scott and Sandra, and of course Resident Astronomer Peggy. And I forgot to take any pictures, oops! So, this has been another week of mostly indoor activities. First, I signed up for a Python class through UCI Extension. I used to read through C code and even many years before that even write page after page of C code. Now, C and many other languages are becoming obsolete, or at least not used that much, and newer languages like Python are becoming more used, especially in the astronomy community. I've attended many astronomy conference where the presenters talk about how they use Python to do their analysis, so I decided I will take a turn at seeing what Python is all about. This is the first week of the internet class and already I'm wondering why in the heck did I sign up for this class? I'm already too busy and I'm not sure if I have the energy to do a real class anymore. Anyway time will tell. 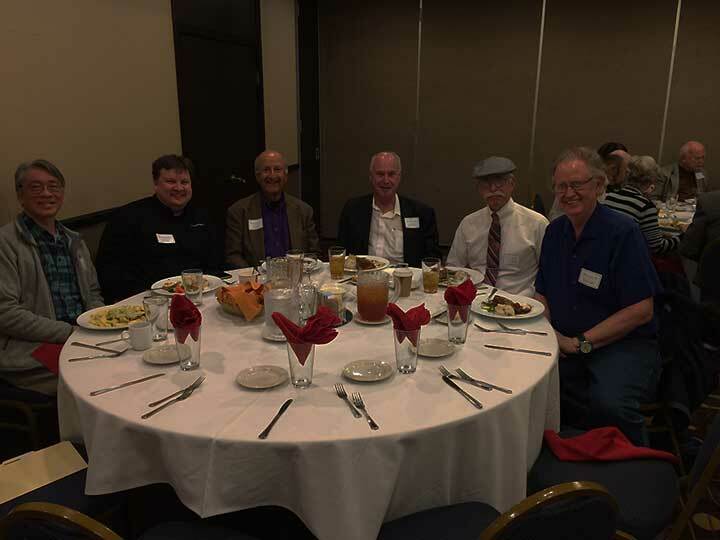 This meeting the speaker spoke about quantum mechanics, but of particular interest to me was to meet up with Lawyer, Robert Rotstan, who told of his early involvement with the OCA club when it was just getting formed and off the ground. It was pretty interesting and seems that other OCA members might also be interested and that ought to be part of the written history of the OCA, now the largest astronomy club in the US. I don't know if the OCA has a historian, but it would be neat to learn about its beginnings. We will see. Another mostly inside activity was attendance at the UCI Physical Sciences (free) Breakfast meeting last week. Afterwards, Just Retired Semiconductor Physicist, John, and I walked up to the bookstore to check out any new and interesting textbooks. 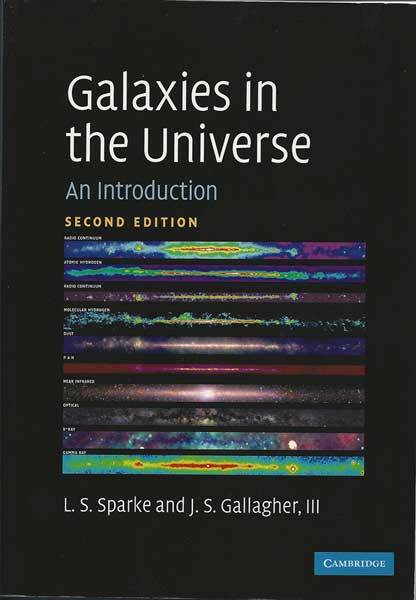 I found "Galaxies in the Universe" to be just the kind of book I was looking for. So often, when you order a book on Amazon or elsewhere, you are never quite sure if the book fits in with your level of complexity and interest. I have many books, that looked good on Amazon, but once they arrived here, are so complex and so written for real experts, that they are practically useless for me. Well, here this book was just the right level of technical stuff and was written in a self contained way that made the topics of interest to physicist wannabes like myself. The mathematical level was set just right and the details were written for generalists and not so specific as to be of value only to experts and specialists in the field. It's also nice to get back on campus and see all the students scurrying around and remember what it was like so many years ago for us too. 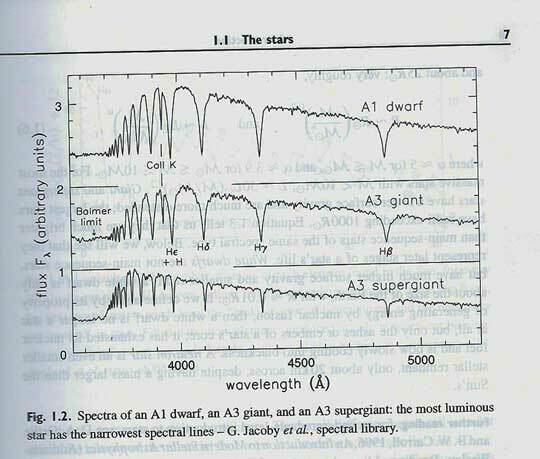 As an example of how the book was applicable right away, check out the following chart, courtesy of that book, which shows stellar spectra from three different types and sizes of stars. Note how the spectral lines for hydrogen show different levels of broadening between the three sizes of stars. In the laboratory, his broadening is call pressure broadening, because it is a function of the pressure of the gas sample that is emitting and absorbing radiation. Now, for the interesting astronomical observation, not how the broadening is most severe for the dwarf A3 star and the lines get narrower for the giant and supergiant stars. At first this struck me as wrong because you would think that the larger star would have the highest pressure and therefore the most broadening. But that is not the case. Remember that even though the pressure in the interior of a star would be higher for the larger size star. But, the light that we observe for the star comes from the outer photosphere of the star and the pressure at that radius depends both on the mass of the star and the radius. So, for very large diameters stars, you could find that the surface pressure is less than you would find on a small dwarf star. Pretty neat! Indications of the stellar size can be found by this type of analysis of spectral lines. 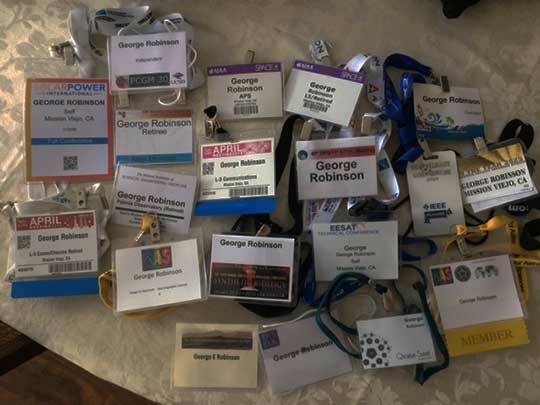 Another indoor activity included some early spring cleaning during which I found a huge pile of badges for various conferences that I attended during past 18 months. Wow, you see them all together and its like, yes, its been a busy time! I noticed that some of the badges listed me as being affiliated with organizations, such as, L3 Retired, or Chevron Retired, or Self, or Consulting Engineer, some just say blank, and even a few that say Palmia Observatory. Yes, I might have to get a job to get a day off! 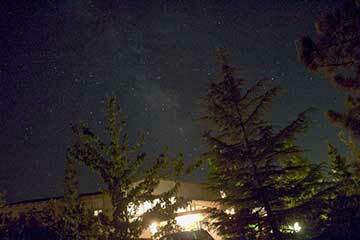 Anyway it will be nice to get some cooperation from the weather so we get some good nighttime observing in. Badges! I don't need no stinking badges!